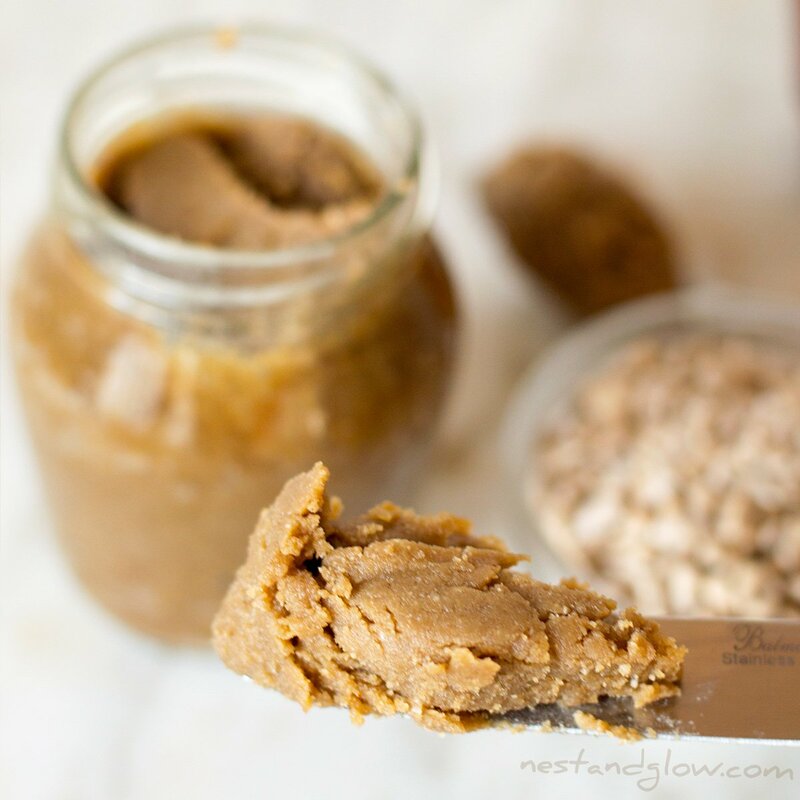 Healthy cookie butter recipe that is vegan, high in protein and easy to make. 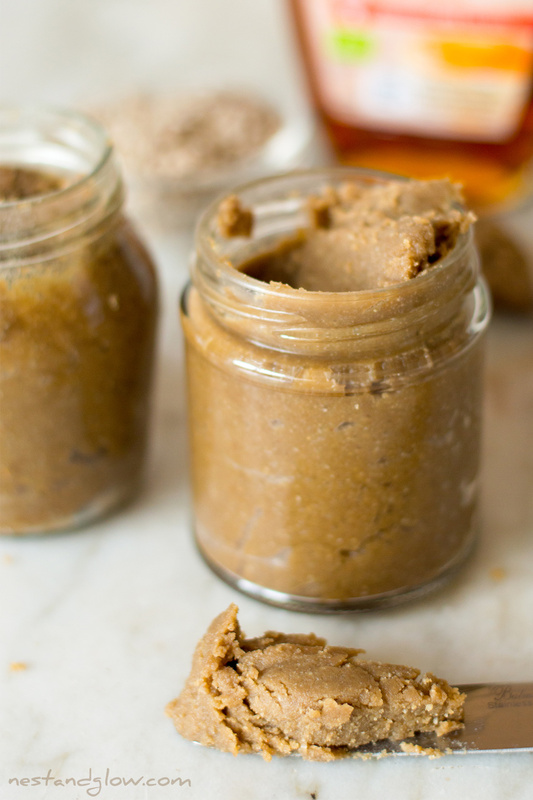 Cookie butter is a spreadable form of cookies! 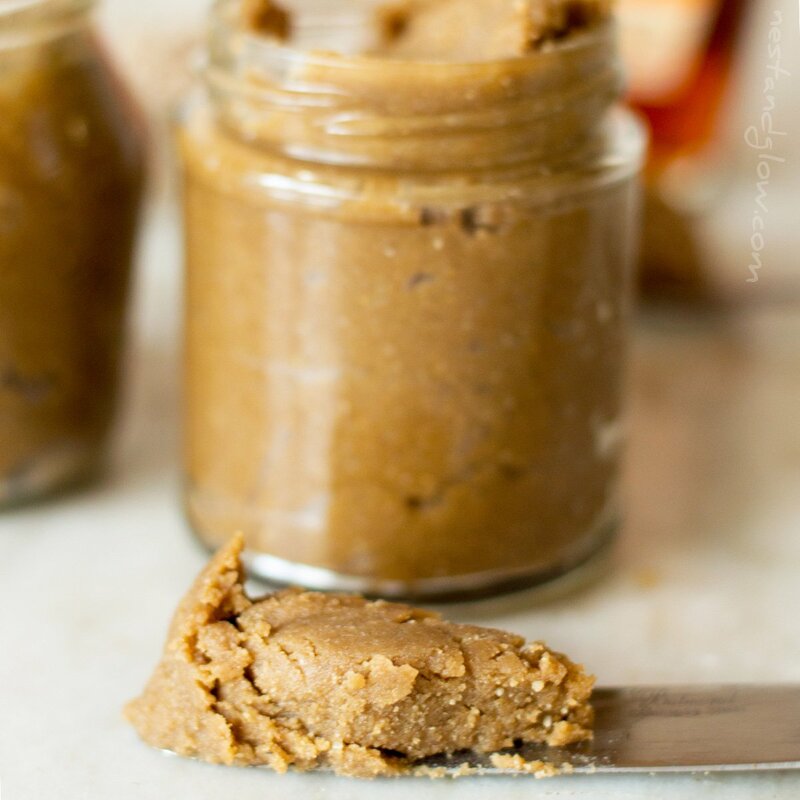 This cookie butter is good for you with no refined flour, sugar or oil. Suitable for vegan, gluten-free, paleo and whole food diets. High in plant protein with just a small amount of natural sweetener. 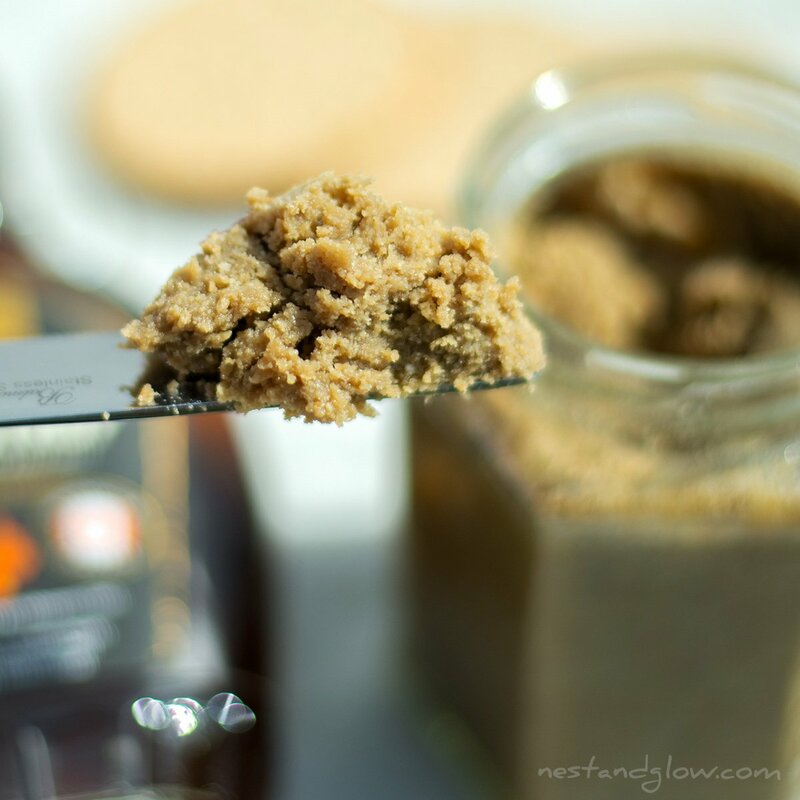 This recipe is a great alternative to trader joes or biscoff cookie butter. Full of heart-healthy fats, vitamins and minerals. 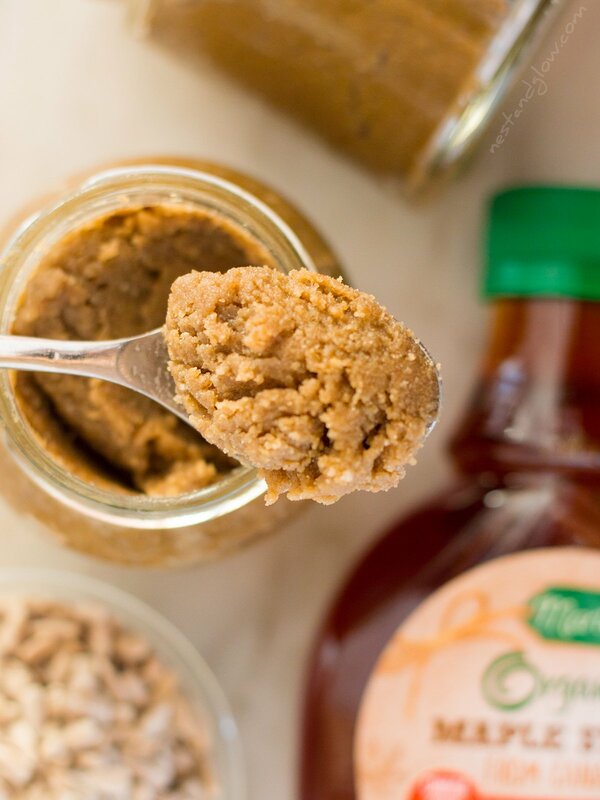 Cookie butter is perfect to frost cakes, on pancakes, spread on biscuits or in place of peanut butter. Play on YouTube or View no music video recipe. A nut version of this can be made with cashew nuts. Just use the same recipe here and directions but use 2 1/2 cups of cashew nuts. The resulting butter is just as smooth and creamy with a slightly different taste. I’m using sunflower seeds for this recipe as they are cheaper, there is a demand for nut-free recipes and honestly, I do eat too many cashew nuts! 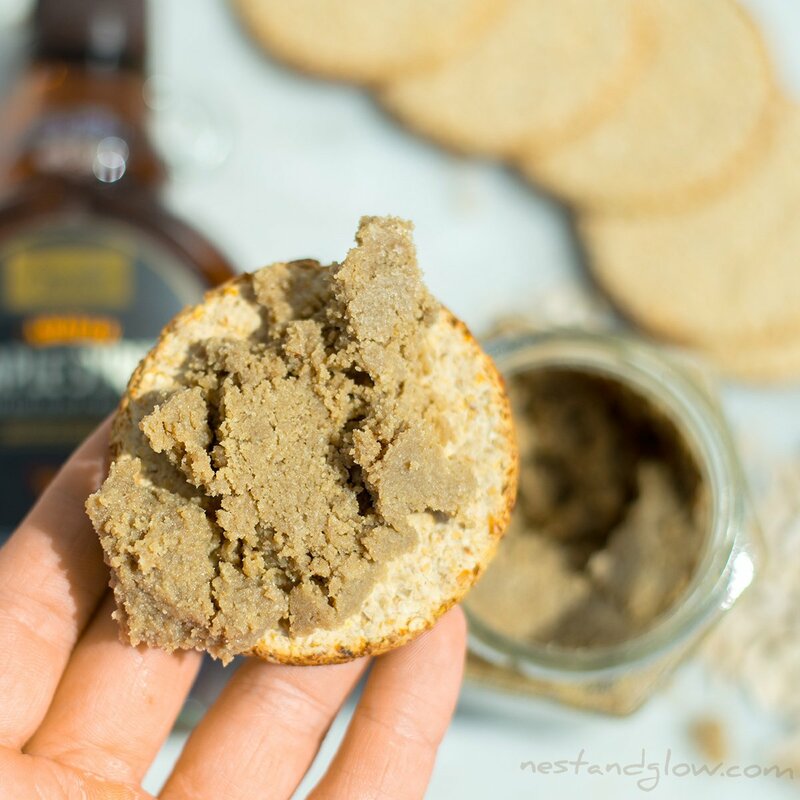 This recipe is recreates something similar to trader joes cookie butter or Biscoff biscuit spread. Both of these do however contain wheat/gluten, refined sugar, soya, palm and other oils. This is free of all of these and just made with seeds and sweetener. The most important part of this recipe is to make sure the seeds are bone dry before taking out of the oven or dehydrator. This is vital as if they still contain moisture they will go off in a few days. 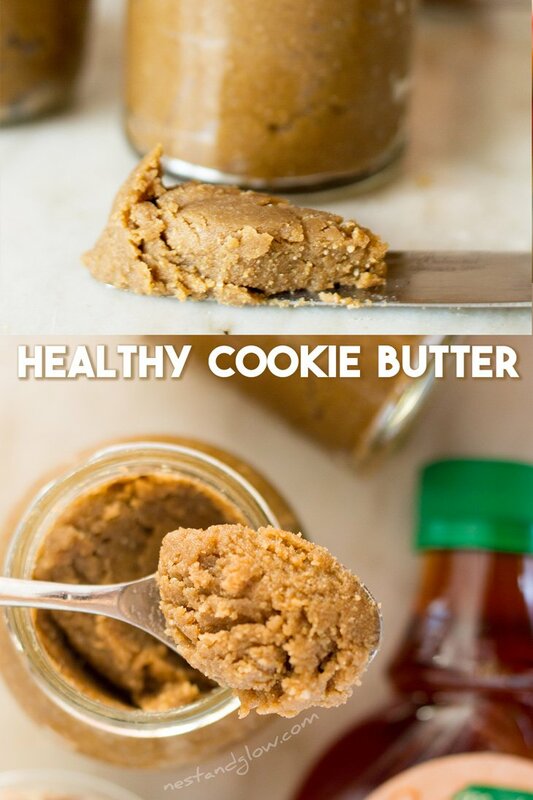 Although saying that this cookie butter is usually gone in a few days anyway! Buckwheat is used here and dried or lightly roasted to help give a biscuity taste. This is a seed so is naturally gluten-free. Many paleo diets don’t allow this seed, even though it’s been soaked, but the recipe still works well without it. If you use buckwheat just make sure that it’s finely ground before you finish blending. The buckwheat can be substituted with oats. Don’t soak the oats but lightly roast in an oven for 10-15 mins until they start to get a bit of colour. Use gluten-free oats to if you are sensitive to gluten. Soak the sunflower seeds and buckwheat overnight in a pinch of salted water. RAW: Spread on a dehydrator sheet and dry at 120F for 8-12 hours. Take out when bone dry. BAKED: Spread in a pan lined with greaseproof paper and bake at 150C for about 30-35 mins, tossing every 10 mins to dry evenly. Take out when bone dry. BAKED NOT SOAKED: Spread in a pan lined with greaseproof paper and bake at 150C for about 10-12 mins. Place the seeds in a powerful blender and blend for minute intervals while scraping the sides down until a liquid paste is formed. This takes 4-5 minutes with a powerful blender. Add the maple syrup, salt, vanilla and blend again. Pour into a jar and it will last for several weeks in the fridge. 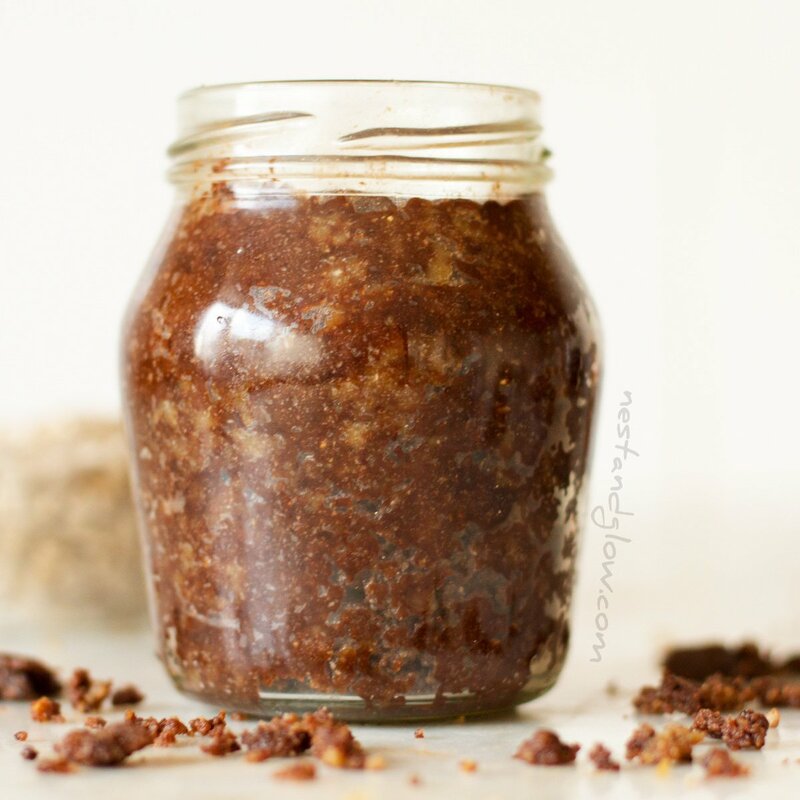 To make chocolate cookie butter just stir in 2 tbsp of raw cacao or normal cocoa powder! To make just a sprouted sunflower seed 100% pure butter just follow steps 1-3. Don’t do what I did in the video and blend the buckwheat in the final step. It’s important to blend it with the seeds as once you add the maple syrup the butter loses its liquid property and it becomes more difficult to make. It was still possible to make the butter doing it like this but took a few minutes extra and a few stops to scrape down the sides. The videos are just for a rough idea of the recipe on social media, it’s best to always read the short steps in the full recipe as this is often updated over time from feedback and when I do the recipe again – and its not possible to update the video once it’s released into the wild. Do you think you could use dates instead of Maple Syrup? Any alternatives to replace buckwheat seed as it’s not available in our country? How about roasting some oats instead? Out of interest where are you? So excited to try this recipe. Such a sweetheart in your videos – wanting to treat myself to ordering your recipe book. Looks extremely well designed!! You’re too kind. Let me know how you get on with this recipe – it’s quite morish. Thanks, I did take a lot of time in thinking out and planning my book, it turned out differently to most out there – not quite sure if that is a good or bad thing! Aim not sure of the buckwheat you’re using? I use buckwheat a lot but need to soak them and cook them first. Do I need to use the raw buckwheat – they’re called groats- in the recipe ? Thanks, I’m really looking forward to trying it out.